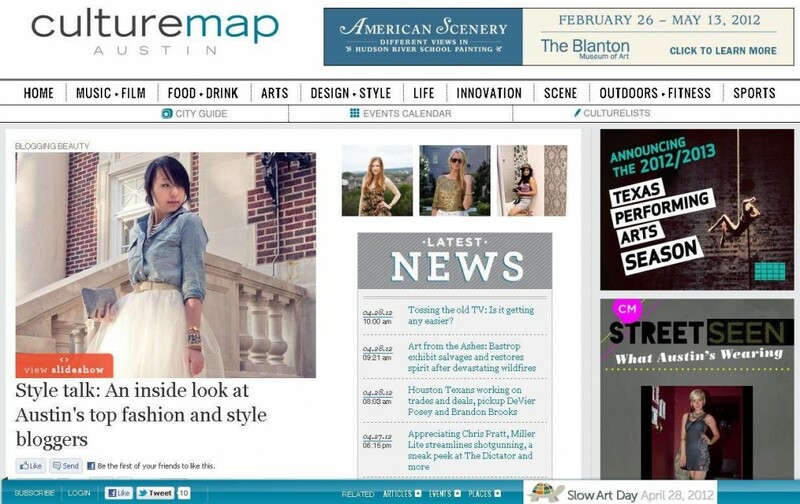 I am beyond thrilled to share that our little blog was featured in CultureMap‘s recent article about Austin’s top fashion and style bloggers. Little old me?? Really?? Well, we’re honored! And you may notice that we’re the only beauty blog on the list. So thank you, thank you, thank you to all of you who have read and commented on our posts, shared products and services, and told your friends about how cool we are. I promise to keep sharing all my best beauty tips with you. This entry was posted in Viewpoints and tagged Austin, beauty, bloggers, CultureMap, famous, fashion, style on April 28, 2012 by jenn. So glad! You have a great blog! Congratz!